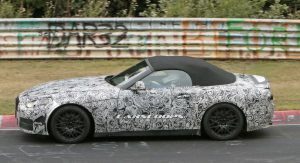 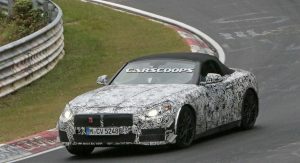 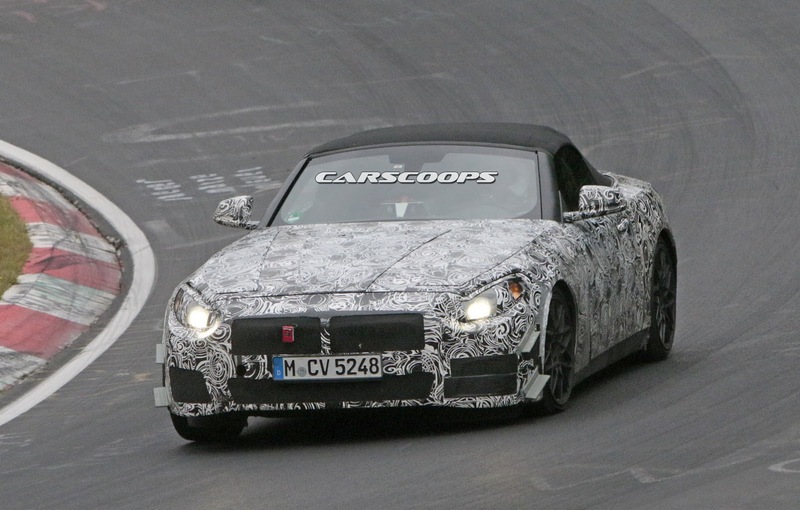 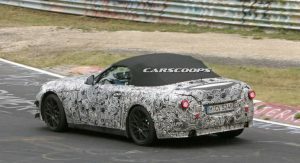 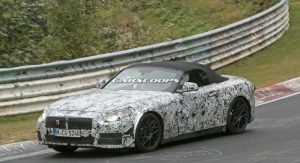 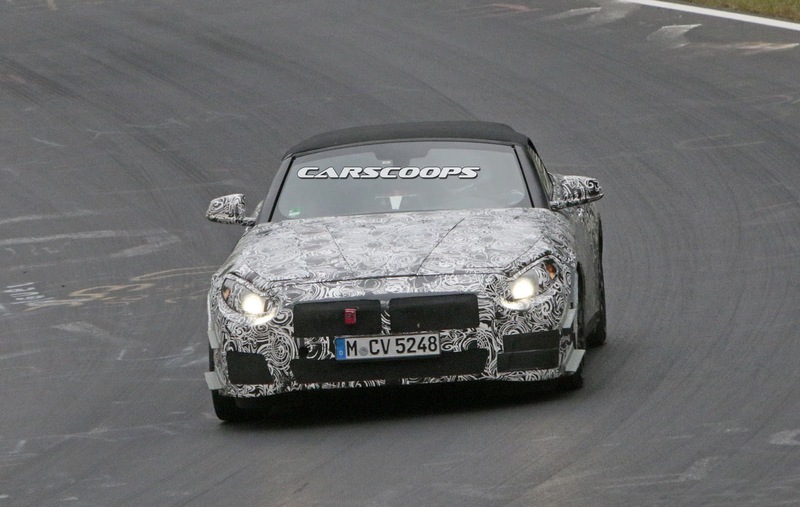 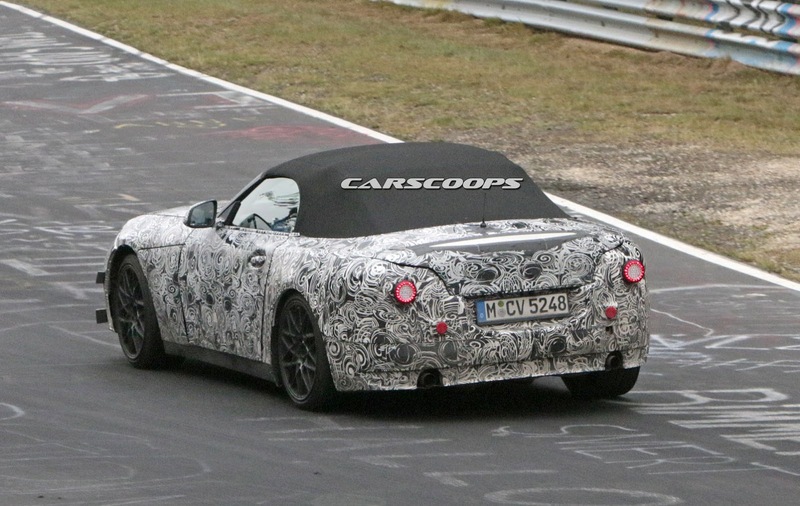 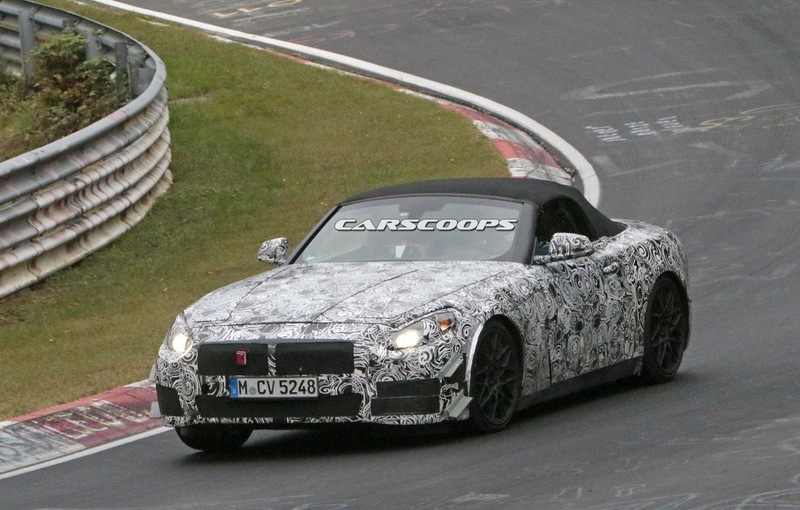 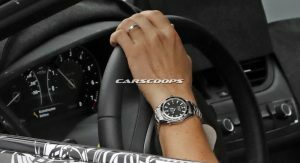 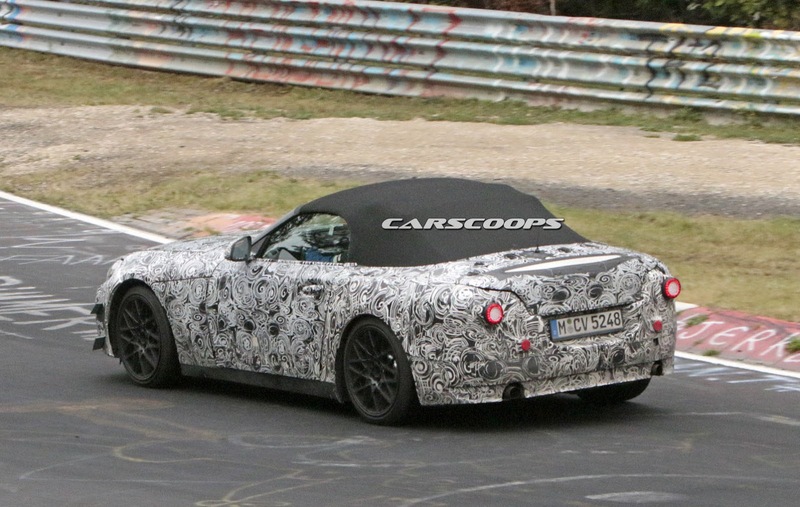 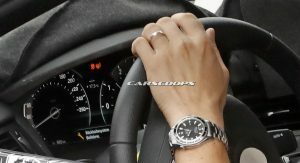 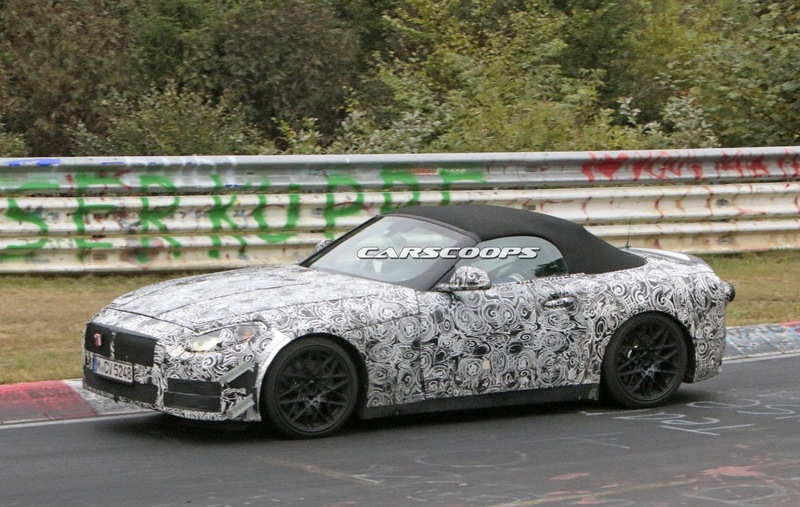 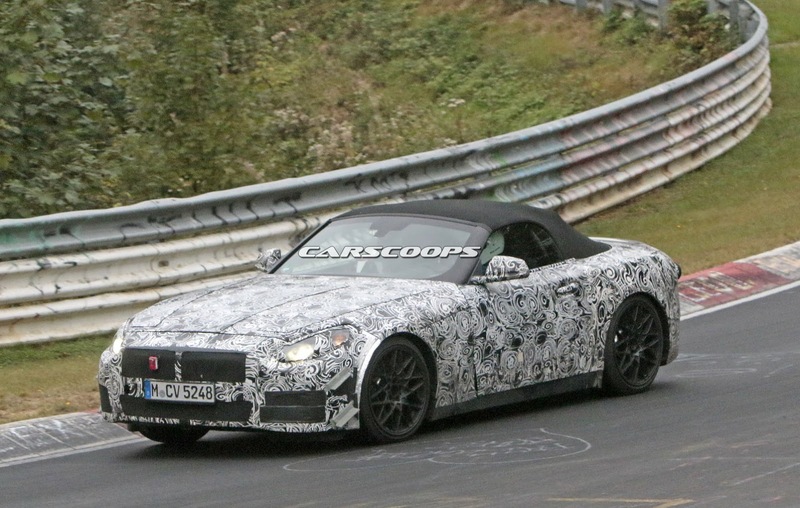 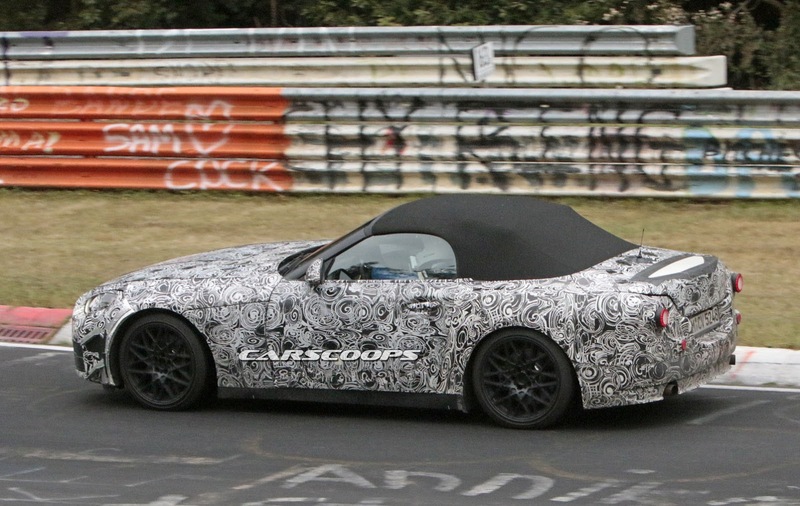 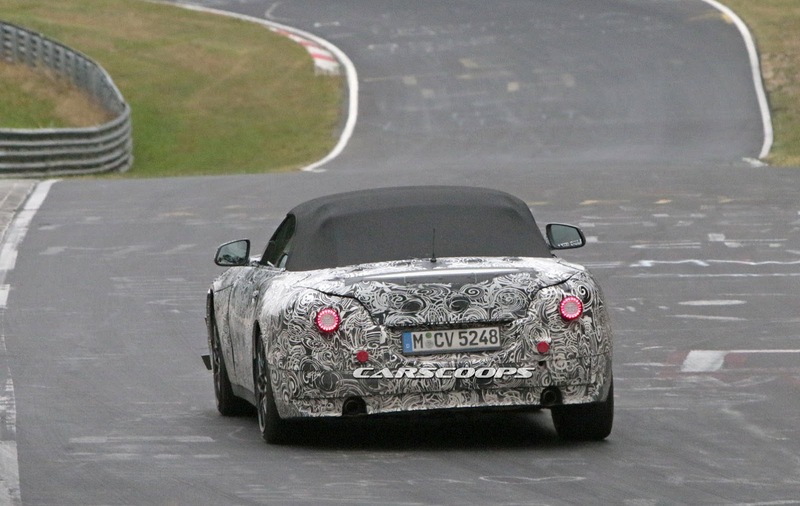 BMW’s new Z5 Roadster was captured by our spy photographers while getting some laps on the Nurburgring, though this time we got a sneak peak at its cabin. 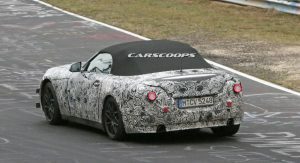 The Mercedes-Benz SLC, Audi TT & Porsche 718 Boxster rival is already known to share the same platform as the next Toyota Supra, plus a multitude of components, some of which are even visible in these images. 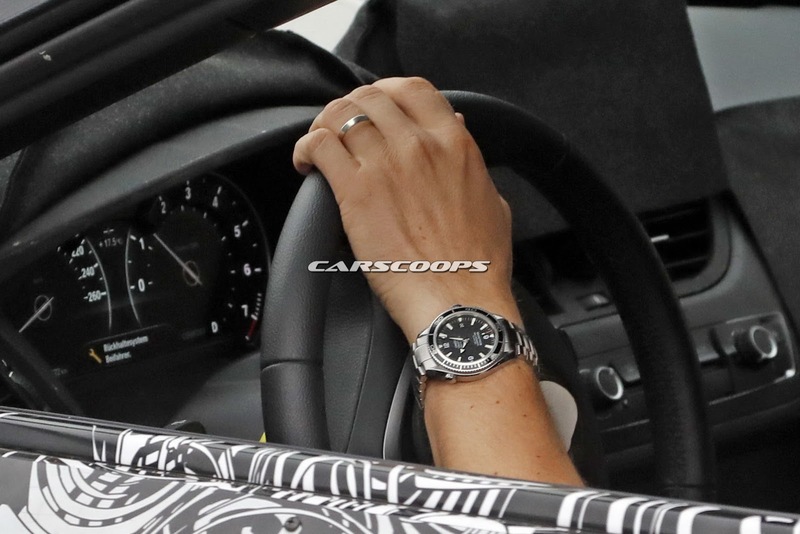 While this is the first time we’re seeing its interior and there are sure to be differences between the Z5 and the Supra, we can’t help but notice the layout for the climate control and how it looks pretty much the same on both cars. 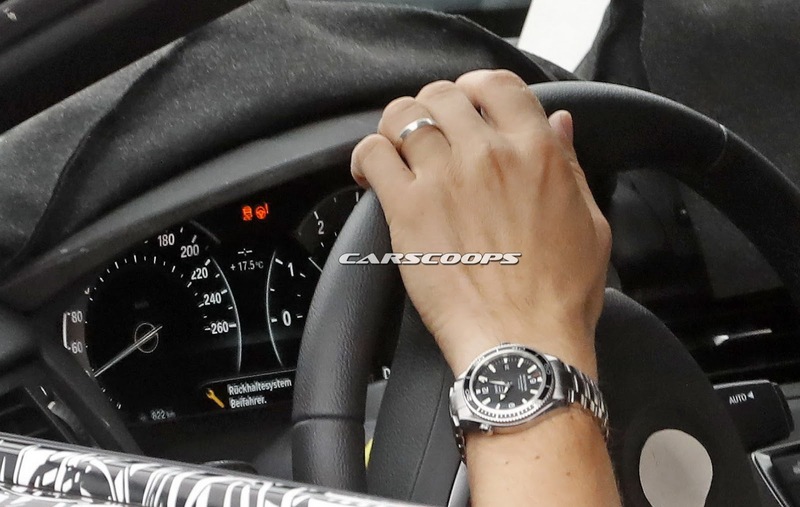 Same goes for the air vents beneath the sat-nav display and perhaps even the steering wheel and the wipers/turn signal stalk. 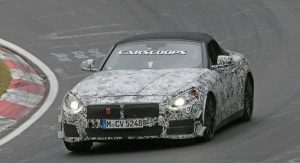 On the outside, BMW will be ditching the Z4’s hard-top roof to go with a soft top in the Z5, which makes for both a more traditional look as well as a lighter car – which in turn helps with performance. 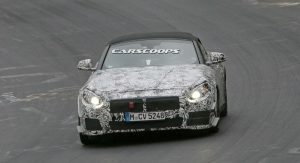 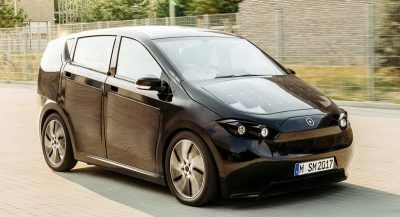 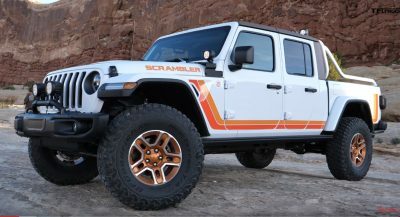 Speaking of which, BMW might be inclined to use a hybrid powertrain with an optional AWD system at one point, according to some rumors, though more mainstream power units such as the Bavarian’s newest turbocharged four-cylinder and inline-six engines will probably arrive first. 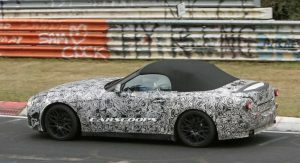 In terms of its appearance (on the outside), the Z5 will surely not resemble its Japanese cousin, which is something we can already deduce by comparing both models side by side, despite all the camouflage. 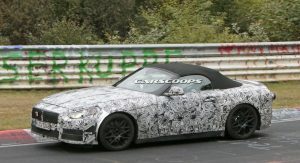 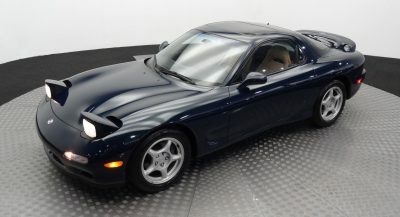 The BMW is also said to be lighter and have a smaller footprint than the Supra. 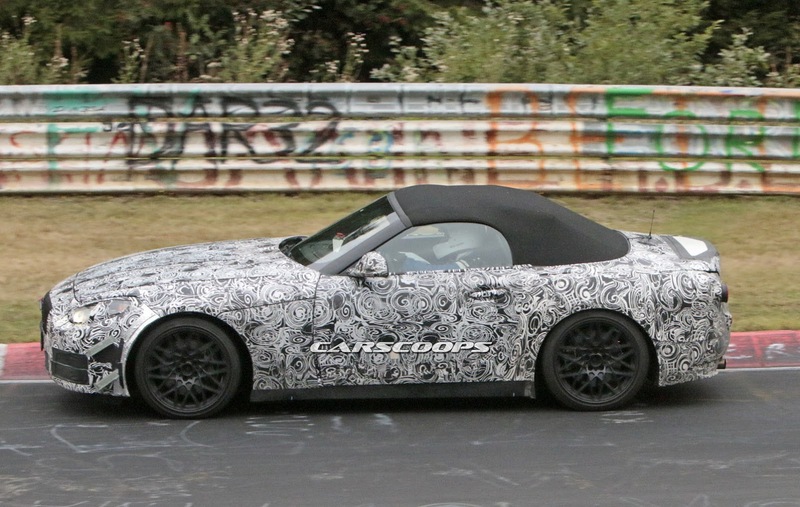 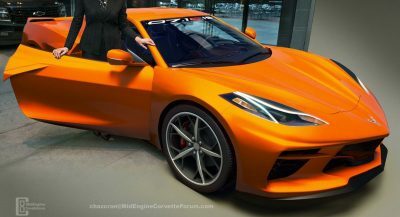 The German automaker is expected to unveil the Z5 Roadster towards the end of 2017.